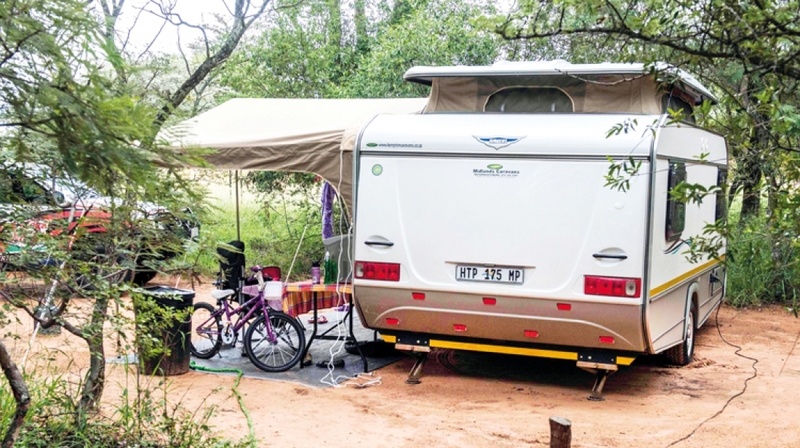 I met the owners of Waterberg, Corrie and Brian Williams, when they took over the resort in 2014, and it’s nice to see how the caravan park has grown in the past three years. It’s clear that Corrie and Brian are hands-on in the running of their resort, and take pride in keeping the grounds tidy. In fact, one of the first things you notice as you enter the camp are the neat pathways and well-kept lawns. 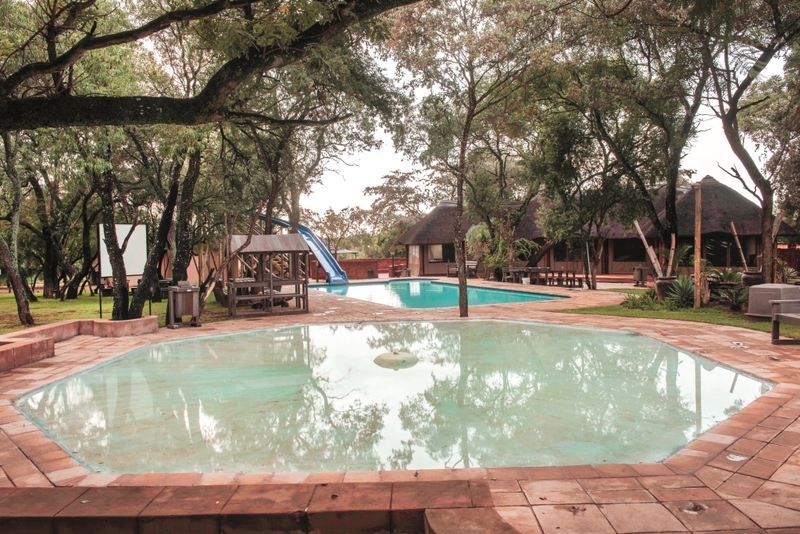 There’s an air of tranquillity hanging over this bushveld getaway, and this is not just coincidence – Waterberg does not permit caravan rallies, parties, or any intrusive noise that would affect your stay. The resort has something for everyone; if you enjoy lounging away the days next to your caravan, the large sites will give you the privacy you desire. It’s not a massive resort; it has 16 shaded, grassed stands (with own private ablutions), and 18 normal gravel stands (with communal ablutions which have 2 baths and 6 showers, and family ablutions with a bath for children). 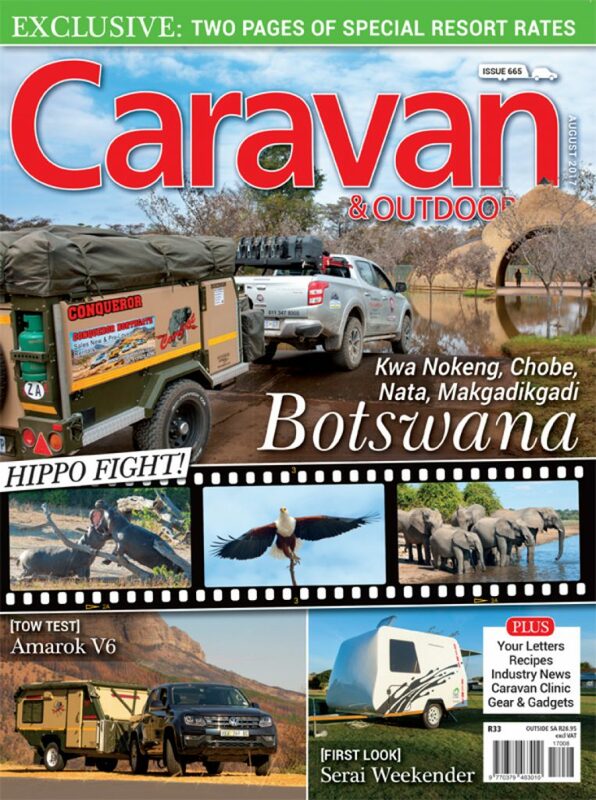 Besides this, they have 4 tented camps which have their own bathroom area. 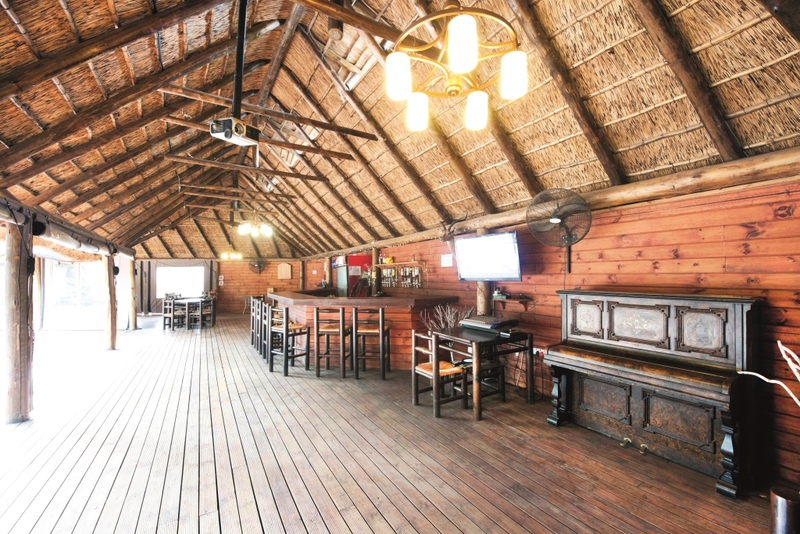 All the sites have 220 volt electricity, braai facilities and a tap with borehole water which is safe to drink. The laundry area has a washing machine and tumble dryer, and there are washing lines available. There is also a scullery for washing dishes. 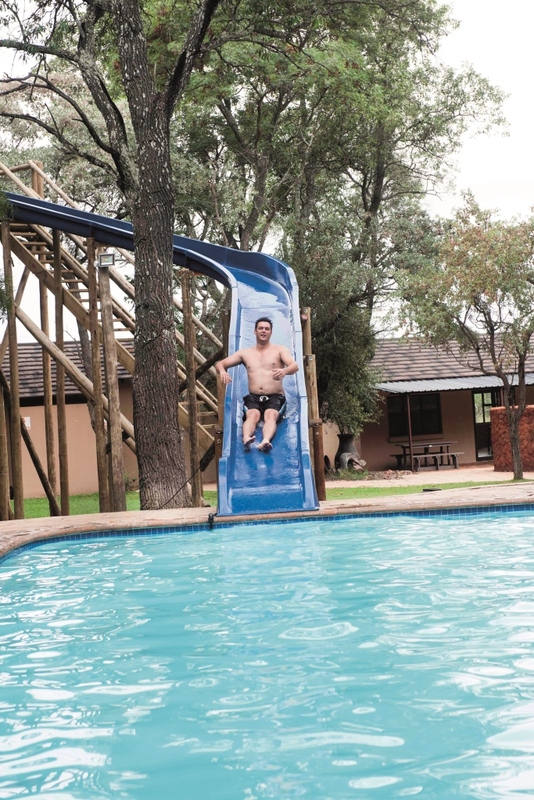 If you want to be more active and are looking for something to do, especially for the children, Waterberg has a pool which can be heated on colder days, and a water slide was installed just last year. The entertainment deck has a bigscreen TV, bar facilities, a shop and a take-away (if the park is full). There is a games room, and a playground area for the children which has swings and a jungle gym for climbing. there is a duck pond and a little farmyard where there are bokkies to feed. Even just taking a stroll through the park to the dam gives you the chance to watch Impala, Bushbuck, and Nyala come down to drink. Or indulge yourself in some bird-watching. The resort is well protected with an electric fence all around it. If you feel like exploring the surrounding area, there are crocodile tours, 4X4 trails, quad biking, an adventure with elephants, game viewing, mountain biking and many more activities to keep you busy. 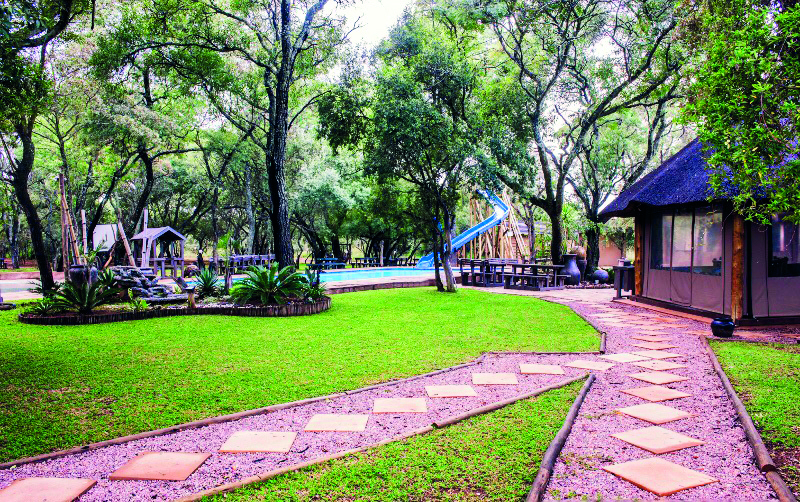 Waterberg Resort is perfect for a long stay, or just a weekend getaway, as it’s only an hour and a half’s drive from Pretoria. You’ll find it in the heart of the beautiful Bushveld district of Limpopo, close to the popular holiday town of Bela Bela (Warmbaths).